Morgan recently unveiled the New Morgan V6 Roadster at the Geneva Motor Show in Switzerland with photography commissioned by Ambient Life Photographer Tim Wallace. 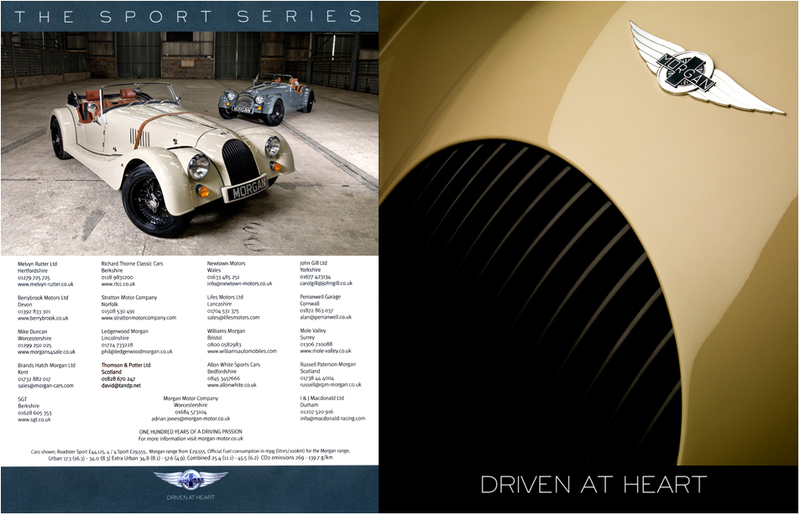 This month, following that very successful launch, saw the start of a new Morgan international advertising campaign to promote both the new Roadster and the infamous Morgan brand. The Roadster is built in the same traditional way, but now with the latest engine producing 45 bhp more than the previous Plus 8, and with less weight. This gives the Roadster superior handling. It is also well priced at under £40,000, particularly if you take into account that this is a hand built car in aluminium - the only other manufacturer that we can think of that also builds cars in aluminium in the traditional way is AC, and they charge £120,000 for a Cobra !